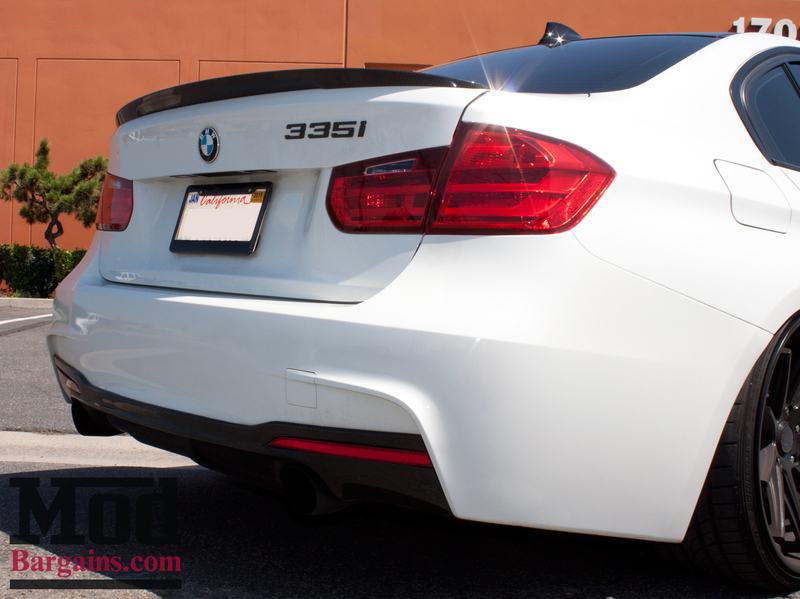 Enhance the exterior of your BMW F30 with this BMW Performance matte black or carbon fiber trunk spoiler. 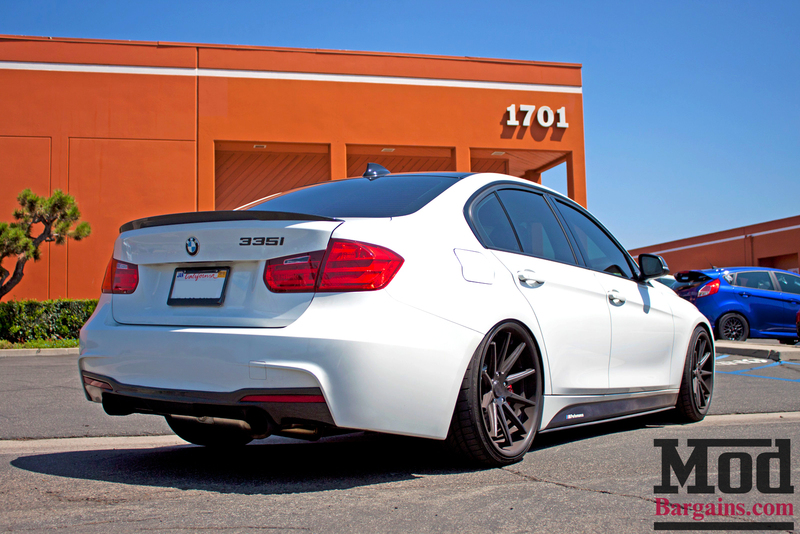 This spoiler will give your F30 that added sporty touch that your BMW so desperately needs to stand out. It comes in two finishes, fits like OEM and installs in les than 30 minutes using 3M double stick tape. In addition to improving the exterior aesthetics of your F30 BMW this spoiler is actually fully functional. 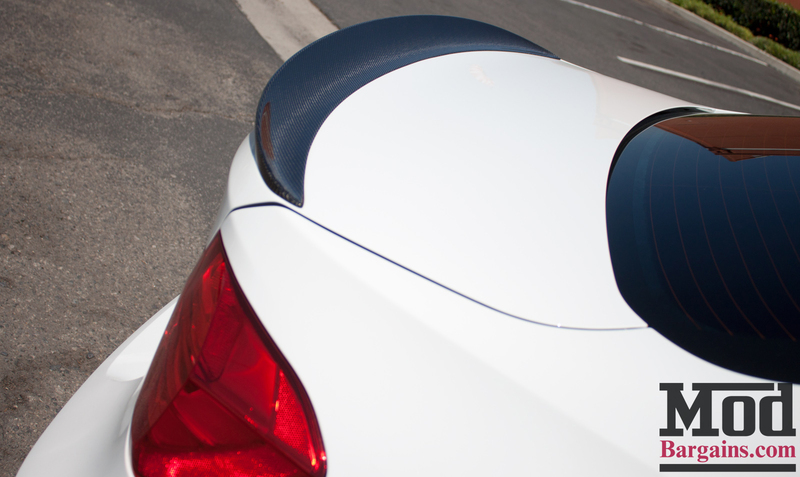 At high speeds this spoiler adds much need balance and down force, improving your high speed handling. 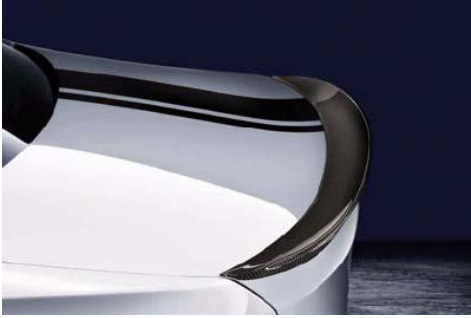 Carefully manufactured by hand, this high quality carbon fiber rear spoiler enhances and customizes your BMW's appearance. 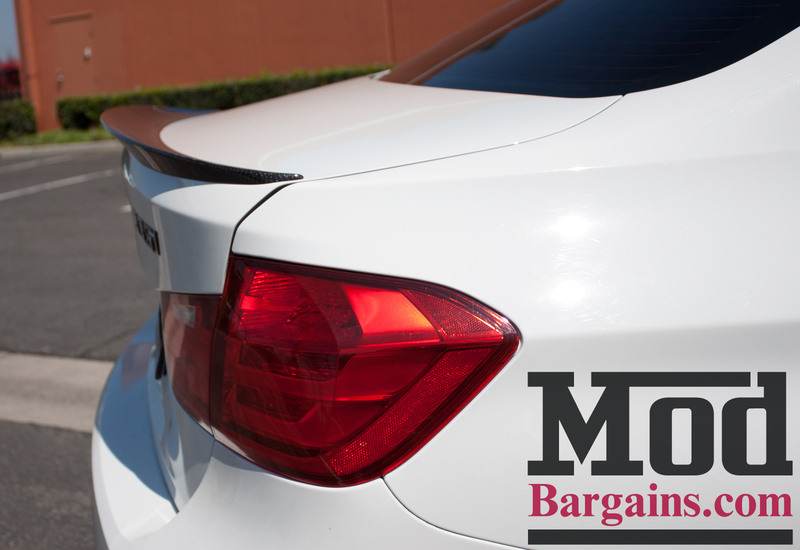 The spoiler is clear coated to prevent corrosion and discoloration caused by UV rays. Installation is simplified thanks to 3M double stick tape. Produced using a Reaction Injection Molding process, this rear spoiler perfectly matches the M Performance Aerodynamic components. Installation is simplified thanks to 3M double stick tape.